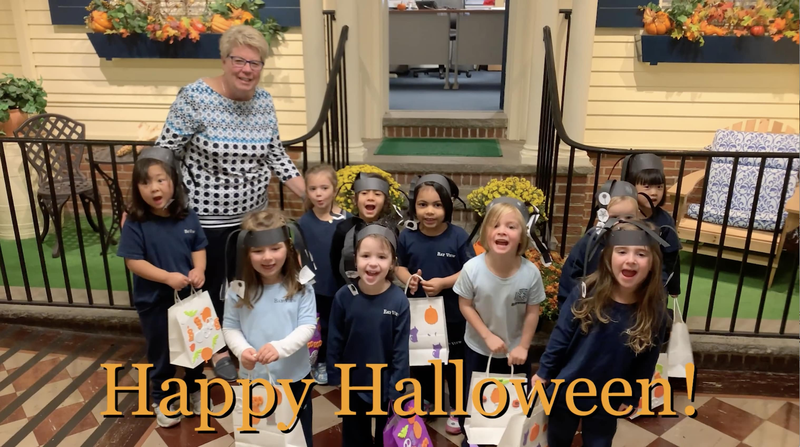 St. Mary Academy - Bay View’s preschool supports a young girl’s love of learning in a nurturing, creative, lively and fun environment. Experiential and project-based learning encourages the development of cognitive and academic skills as well as social understanding and sets the tone for a lifetime of the simple joy of learning. Our preschool provides activities with a focus on creativity, independence, and curiosity, fostering a young girl’s relationships with her peers while enhancing her level of autonomy. Our preschool programs runs in conjunction with the Lower School academic school year (August-June) and runs daily from 8:00 AM - 2:33 PM. We offer full and half day options, in addition to full week and 3-day options (M-W-F). Students who graduate from our preschool program have first opportunity to move on into our competitive elementary school program. Before and after care is available. A child in our three-year-old program must be three by September 1st. She can play cooperatively with her friends and use her growing communication skills to resolve conflicts with others and to express her wants and needs. She is beginning to manage her emotions more appropriately as her self-control matures. She can actively engage in all activities presented and is capable of using her fine motor skills to draw, write, cut, and create! Her attention span is lengthening as is her ability to follow multi-step directions. She can manage her own belongings and demonstrates increasing progress with buttons, zippers, and shoes. She learns letters, numbers, shapes, and songs. She can assemble puzzles and build with blocks. She loves to retell or act out stories. She is ready to meet the challenges of a more structured day as she enters her second year of preschool. Our four-year-old program prepares young girls to be cooperative playmates and independent students. The caring and creative environment develops self-confident learners, cultivates positive relationships among peers and supports the development of emotional resilience. Our four-year-olds are taught to share, negotiate, compromise, and to care for one another. They know how to communicate their feelings and needs to others in constructive ways. They independently manage their belongings and themselves, and actively participate in small groups and whole group activities. They have started to develop early literacy skills and are exploring writing using developmental spelling. The four-year-olds enjoy roles as mathematicians, scientists, and presenters as they explore their world, make predictions and confidently tell their experiences.